Your U.S. callers simply dial your US Virtual Phone Number and instantly connect to any domestic or international phone number you designate. Change your 'ring to' number in 'real time' 24/7. Simply use your account portal. By default, your US virtual number will forward calls to whatever phone number you initially request. But there are many more possibilities included for you. Have your US virtual number forward calls to your US cell phone in the daytime and then automatically ring to your landline anywhere globally at night. Calls can divert to your Pakistan call center between the hours of 8 am and 3 pm and then automatically ring to your other office in Italy (or any country) after 3 pm. Set up your virtual number to suit your requirements. Toll Free or Local International Call forwarding numbers are accessible to callers within a specific city or local area code. For example, you can own a local phone number in Brazil, Hong Kong, the USA, etc., that will divert your calls to any landline or mobile number in any country. #2. Let's assume you are located in Thailand. You can get a US Virtual Phone Number and have your callers automatically forwarded from the U.S. to your Thailand phone number. After the account is set up, every call made to your private US Virtual Phone Number is forwarded to your designated overseas phone number at very low rates. Click here for worldwide availability and rate plans. Can I Choose the actual Global Call Forwarding ? You can choose an 'area code' or worldwide city from the availability list. Once your account is activated, you can use your account portal and modify your call forwarding number, if you wish. The change takes place instantly. For example, you can change the 'ring to' number from your mobile phone to your landline. Or, from a number in France in the morning to a number in Switzerland in the evening. Or you might want a Las Vegas phone number that forwards your callers to your phone in New York. 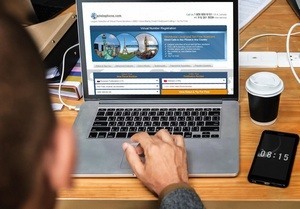 One of the benefits of having a standard U.S. call forwarding number is that it is accessible from virtually any country as opposed to U.S. toll free numbers which are not usually accessible from outside the U.S.
How fast are the calls connected? The call is processed instantly. Your call will be immediately connected to your designated 'ring to' number. I want my U.S. cell phone number to forward my calls when I travel overseas. Can my U.S. cell phone forward calls to your Global Call Forwarding number and then have those calls forwarded again to another international phone number? This strategy will work with 'any' U.S. cell phone that has a call forwarding feature. You must set-up call forwarding on your U.S. cell phone or landline to forward your calls to the assigned US Virtual Phone Number in able for this to work. An advanced usage strategy for cheap international calls. Many customers use this service not only for call forwarding but as a means to make cheap international calls from their chosen US Virtual Phone Number. Outbound Calling Using Your US Virtual Phone Number Caller ID. This option enables you to use your new virtual phone number to make cheap international calls with the caller ID override feature. Your virtual number caller ID can be displayed to the call recipient. Utilizes a free softphone for your smartphone or PC/Mac. If you are located in Finland, you can buy a Finland virtual number that forwards calls to USA. Examples of the well known Finland cities and area codes are: Finland, Helsinki 9, Kokkola, 6, Espoo, 9, Turku, 2, Vantaa, 9, Tampere, 3 and Finland Toll-Free. If you are located in Spain, you can buy a Spain virtual number that forwards calls to USA. Examples of the well known Spain cities and area codes are: Spain, toll free 0900, Madrid 91, Barcelona 90, Valencia 96, Seville 95 and 85.
International Call Forwarding provides you with a private virtual phone number within the country you select. Get more value out of your call forwarding plan. When you sign up, select the RollOver Option to accumulate your unused plan minutes for future use. This is a perfect solution for those customers that have fluctuating account usage and would like to use those unused minutes for times when higher call forwarding activity occurs. Choose your own private Toll Free or Local Call Forwarding Number. This feature is included. Your virtual number accepts multiple callers at the same time with no busy signals. Forward multiple calls simultaneously to the same phone number. It is a free feature for those customers who have a PBX or hunt group and can receive multiple calls at the same phone number. When signing up for Global Call Forwarding call forwarding services, you will be on a month-to-month plan. No contract, cancel at any time with no penalties. 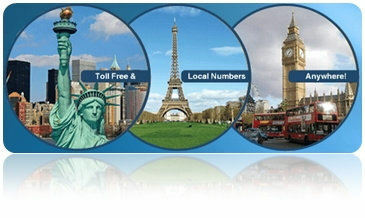 Virtual phone numbers available in many countries. Online account management enables you to login and change your 'ring to' number in real time, 24/7. With Fax Forwarding you can receive a fax sent to your virtual number and that fax will be automatically delivered to you by email as an image file. There is no extra charge for using this feature and activation can be easily done through your account management control panel. This service is compatible with any landline or mobile phone located in any country. This feature allows you to record a custom greeting for your virtual number free of charge. The recorded greeting will be played to a caller when your virtual number is called prior to the call being forwarded to your 'ring to' number. You'll always have high quality connections at the best rates possible. Unlike other call forwarding plans, you will not be charged any fees for busy or incomplete calls. You will automatically receive a monthly statement with all call details for the month. This is also a free feature. You receive individual attention from our trained professionals. See customer comments. You can select to have your calls forwarded to different phone numbers, even if in another country, or to voice mail depending on the time of the day. You can select different routing for different days of the week. Also called International Call Forwarding, receive a unique USA or global phone number when you sign up. Choose from 'local' number in your desired city or a Toll Free call forwarding number accessible from an entire country that you select. You can give this phone number to your customers, family members, colleagues, friends or anyone else you wish. When this US or other country phone number is dialed, the incoming call is automatically forwarded to your desired phone number, wherever you are in the world. Have your mobile phone or landline calls automatically call forwarded to any other telephone number worldwide. Choose from over 2500 U.S. area codes. Gain a telepresence in any of 3500 worldwide city choices. 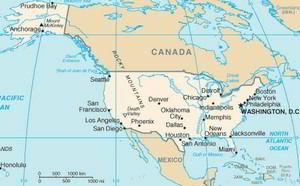 Even though the US has an advanced telecom sector, none of the US telephone companies permit call forwarding beyond the USA border. This means if you own or want to own a US phone number and wish to have US calls divert to another country, you cannot do so using the USA telephone company assigned phone numbers. Our service provides a solution to the international call forwarding requirement from USA and assists you to buy and own a US phone number with global call forwarding capabilities.